Halloween means Party Time! We loved trying out these ideas a few years ago, and we plan to make some more this year too! Simple party ideas that are quick and easy to make too! 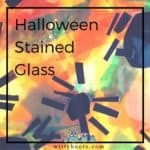 Halloween Party bits and pieces for a great spooky get together! We wanted to have a Halloween party for Peakles but not make it too scary. Some of the more commercial items were just not appropriate for a small child and her friends. 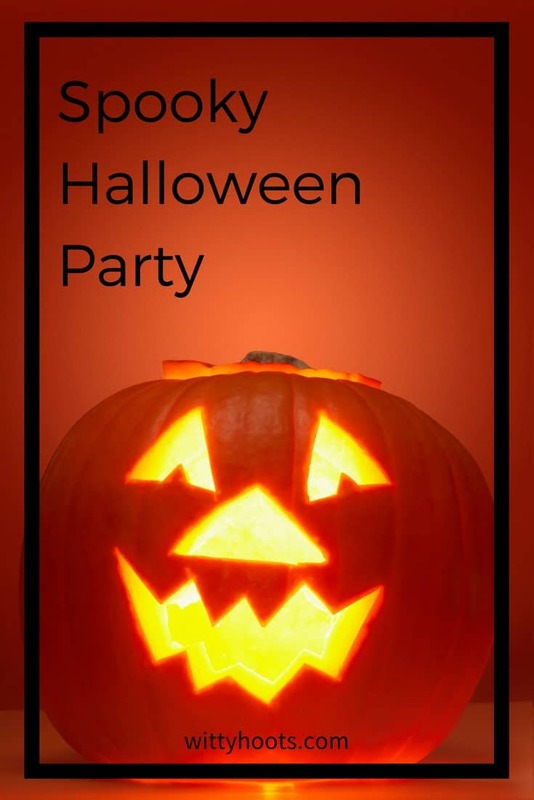 So with a limited budget and time, we set to work making this party a ‘spooktacular’ one! We had very little time to carve lots of pumpkins, so we decided to buy one large and some small pumpkins plus some oranges. 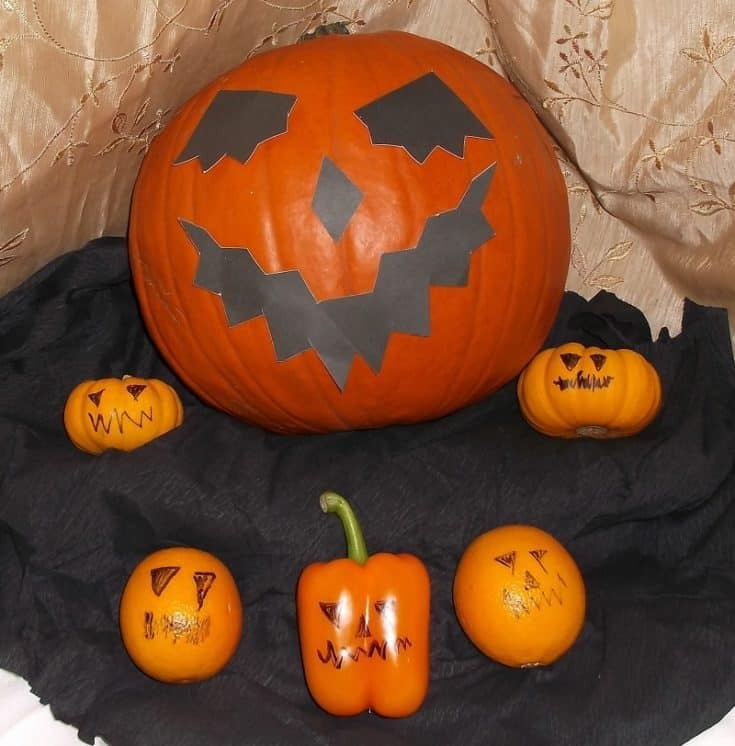 With the larger pumpkin, Peakles added some features by sticking on cut-out black card eyes, nose and smile. With the smaller pumpkins, we drew on some friendly ‘scary’ faces and arranged them in a group. 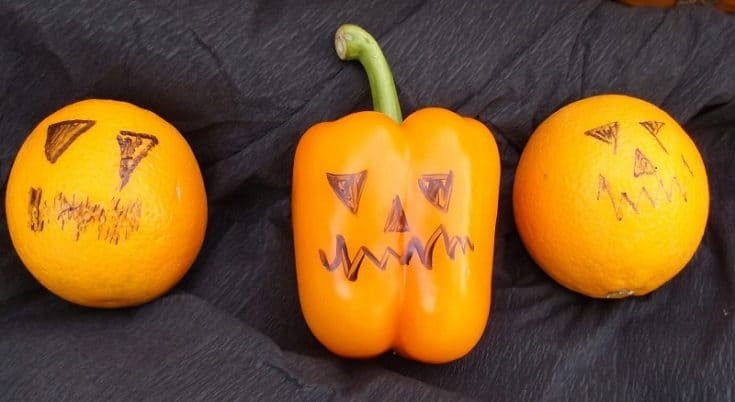 We also found a ‘cute’ orange pepper (capsicum) and put a face on that too! Ghastly Ghosts, Pumpkin Pals and Batty Bats! Ghosts and pumpkins are a must at any Halloween party! Using white or orange balloons and a marker pen Peakles and I carefully added some eyes and mouths to make some bobbing balloons! 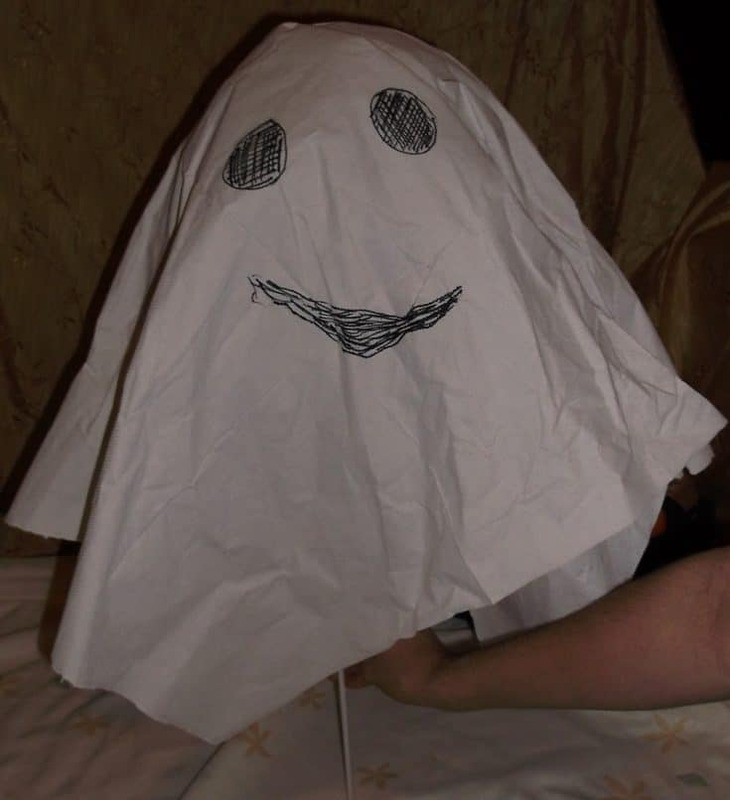 For a more ghostly effect, we added a sheet of crepe paper around the balloon, so it looked like a more traditional cartoon type ghost. Our balloons were fixed onto sticks so they could be taken away at the end of the party. Helium-filled balloons can make the ghosts look like they are floating. Remember to tie the balloon to the centrepiece or by adding weight to stop them floating away! 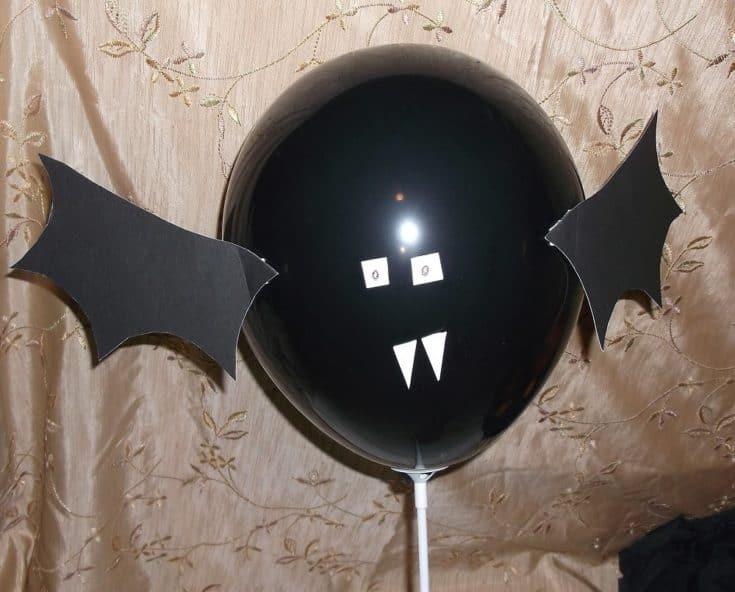 For our bat, we used a black balloon, some white stickers and some wings cut out of black card. Peakles stuck the wings on and added the stickers for the eyes and teeth.